A big thank you to all who turned up on an inclement evening to support our AGM, it was great to see so many of you. The office bearers of the committee/team are now Lala Burchal-Nolan continuing as Chair, Glen Heggs is continuing as Vice Chair, Tom Dowman as Treasurer. A formidable team which also includes Whirly Marshall, Sandy Millar and Bea Holden, Whirly has become our expert on landscape matters, Sandy on noise and landscape issues and Bea covers the website and community liaison. Eoghan Baird has stepped down as Secretary, many thanks Eoghan for all your work and support over the past three years. Lala gave an update on all the proposals around Straiton and neighbouring communities illustrated with some excellent, and very accurate, animations John Nolan has provided which show how the proposals would appear from various viewpoints. She also explained how the team see their remit in terms of which development proposals would be objected to. This included how money raised from the community would only be spent on objecting to proposals which affected the parish of Straiton. To view her slides click here. 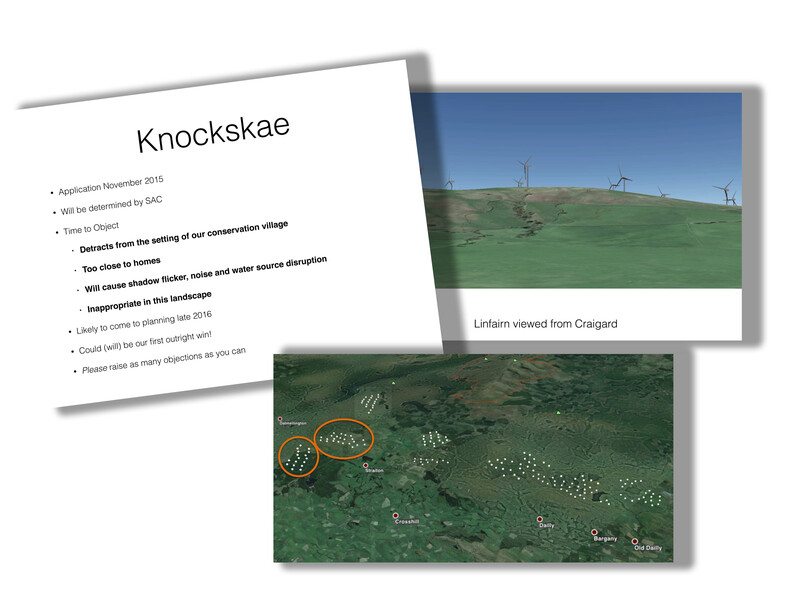 Whirly showed interested residents sections of the Knockskae wind farm application showing visualisations of the development. This is hopefully the last application we will have to deal with in our immediate area. There is still a lot of information to digest and appraise but we have post cards available with some points we have been able to identify. After a question and answer session the evening concluded with wine, mince pies and some good conversation, plus the raffle of course. Thanks to all those who generously donated prizes for our raffle and helped make the evening run smoothly. Your support inspires us. 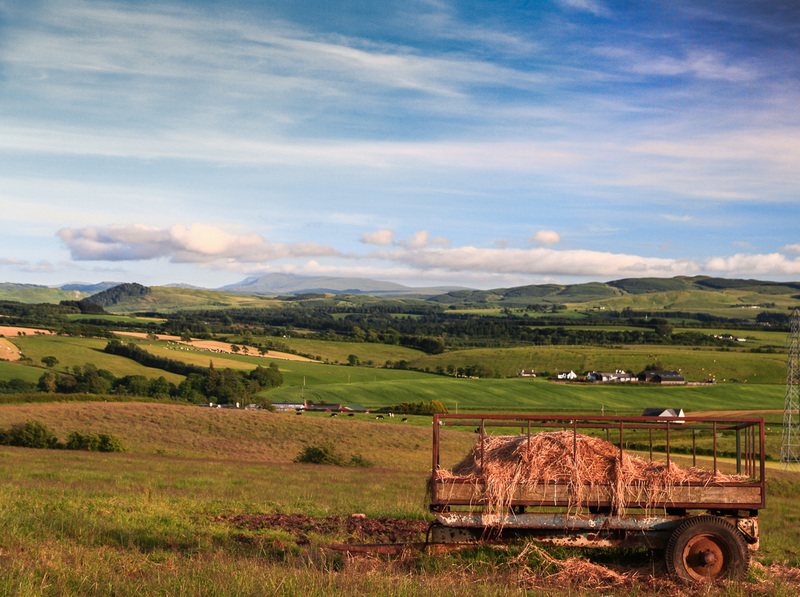 PS If you would like to join the team you would be more than welcome, co-opted members (those who wish to join for a limited time or just work on one particular issue such as ecology) are also very welcome.